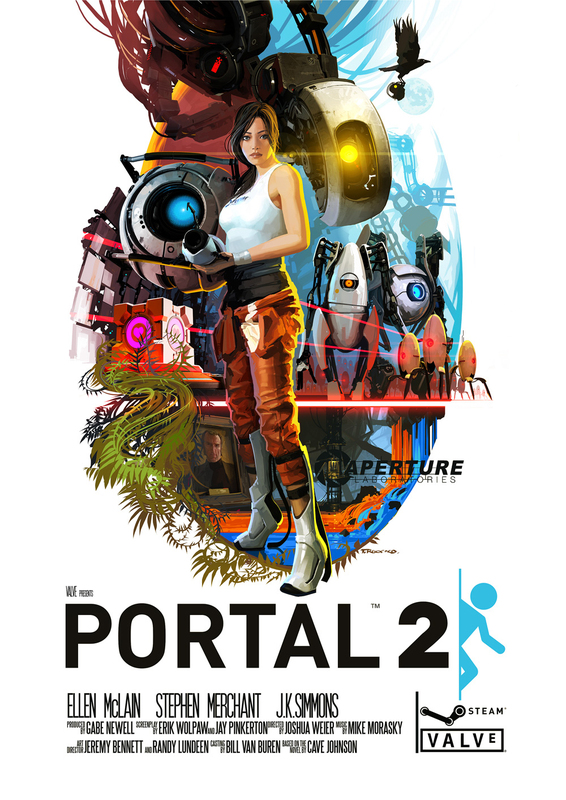 Portal 2 DLC (finally) coming in September | Servblog Games! After waiting not-so-patiently for what seems like a lifetime (4 months! ), the first bit of Portal 2’s DLC, a promised release of “summer”, finally has a more definitive release window. Speaking with Kotaku, Valve’s Doug Lombardi assures us that the content, which includes new maps, leaderboards, and challenge modes, will be released in mid-September. If it weren’t Valve, this wasn’t Portal 2, and it wasn’t free, one might be inclined to be a bit miffed. Also, the amazing poster seen above is by Valve artist Tristan Reidford, prints of which can be ordered through ThinkGeek. As an aside, I’d still like to know what’s taking so long with getting Volume 3 of the soundtrack out?